Apart from choosing the fiscal year-end date for your new Hong Kong company, another important decision that you have to make is determining the currency of your company. You are always asked to choose your functional currency when you first set up your desktop or cloud accounting system. In normal circumstances, the accounting system does not allow you to change it once this is set up. So what currency should you choose? 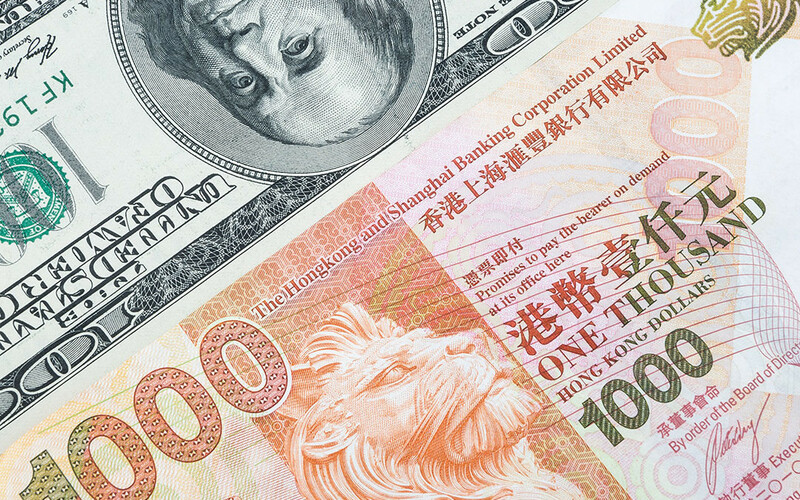 The common functional currencies used for Hong Kong companies are HKD and USD. Choosing either of them will have certain implications from the accounting perspective and the tax perspective. Do you prefer your accounting documents e.g. invoices, quotations, statements of accounts to be issued and settled in USD or HKD? This is the very first and important question you have to ask yourself. If you sell your products or services online and mainly to overseas customers, then this would be wiser to issue every accounting documents in USD, as this is a more common currency to the whole world compared with HKD. On the contrary, if you sell your products or services mainly to local Hong Kong customers, this would then be a lot better if every accounting documents are issued in HKD. Though the HKD exchange rate is pegged against USD, most Hong Kong people don’t have any USD notes or coins at home or USD balance in their bank accounts. The second question that you have to ask is whether you pay your suppliers mainly in HKD or USD. If you mainly buy from overseas and settle in USD, then your functional currency may favor USD more. Again, on the contrary, if you mainly buy locally in Hong Kong and they will be settled in HKD, then your functional currency should be HKD instead. If your answer to both questions is HKD, HKD may serve you better as your functional currency. Same to USD, if your answer to both questions is USD, USD may serve you better as your functional currency. If your answers to both questions are different, you may need to consider other factors, such as the currency in which your company generates the funds, the currency in which your company retains the operating receipts, etc. Under this situation, you might consult the professional accounting advice. The functional currency is not necessarily the presentation currency of your financial statements. You are free to choose whatever presentation currency for your financial statements in Hong Kong. If your company is a standalone company, the presentation policy is always better to stick with the functional currency, so you don’t need to incur extra costs in accounting and auditing. If your company is a subsidiary of another company, the presentation currency of your company has to be the same as the holding company’s one for consolidation purpose. For example, if your holding company presentation currency is USD, you will need to prepare a set of financial statements in USD for the parent’s company consolidation purpose. So now assume you have made the decision on your functional currency and presentation currency to be HKD. When reporting the tax returns to the Hong Kong tax authority, you can directly use the HKD figures from your financial statements. However, if your functional currency and presentation currency are USD, the financial statements used in reporting the tax returns will have to be converted into HKD. Generally speaking, there is no tax benefit in using either HKD or USD as your functional currency, as the realized exchange gains which are of a revenue nature and sourced in Hong Kong are subject to profits tax. Please contact your accounting professional for more advice relating to your company situation when you need to decide on the currency for your accounting system as this option is normally irreversible in the accounting system and requires countless efforts when changing it.